Bangkok (Thailand) ̶ VIV Asia, the international trade show from Feed to Food for Asia, kicked off on March 13th and closed its doors on Friday 15th. The organisation looks back with pride as the 33rd edition of VIV Asia attracted more professionals than any of the previous editions. The exhibition space increased by 30% (30,000 net square meters at full BITEC) from last time, focusing more on the swine sector and expanding the show profile into the Food Engineering business. Visitors had the opportunity to meet with 1,245 companies representing 62 countries. The show pre-registration counted visitors from more than 100 countries. It is expected that this year’s event generated more than 18bn (18,000,000,000) baht’s worth of commercial transactions during the course of the three days. 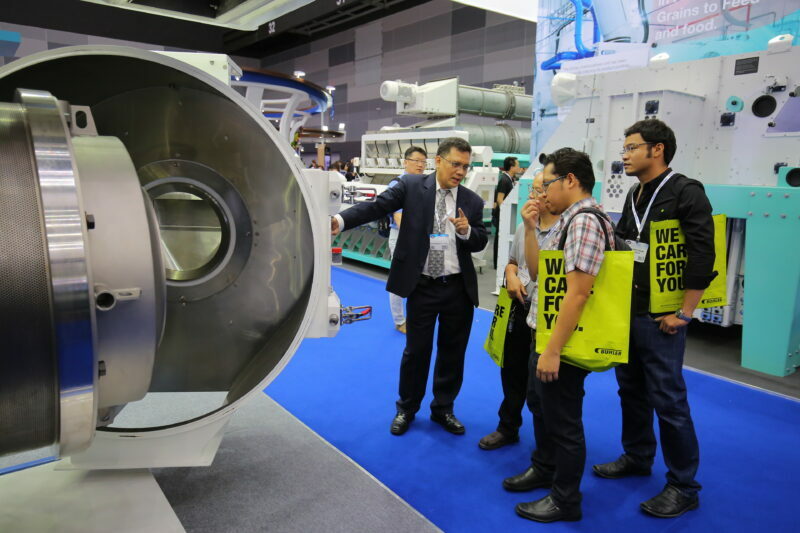 The highlight of VIV Asia introduced an extended business section on Food Engineering, which covers and showcases equipment and services for the food production and processing of poultry meat, eggs, red meat, fish, and dairy products. The VIV Analysis team identified a need for a platform to provide a linkage between livestock and food production businesses, to create more opportunities through the supply chain in the target markets. Over 100 leading local and international companies brought together complete solutions, high technology and full services at a professional standard to serve food business customers and investors. Companies showcased pre-processing, slaughtering, ingredients, additives, seasoning, marinating equipment, cooling/freezing, packaging, logistics and storage, food safety management, IT with digital technology, hygiene, waste water treatment and energy management. VIV Asia also aims to upgrade Thai agriculture through research and development on agricultural, livestock, and fisheries infrastructures with emphasizes on the effective uses of resources in a sustainably and environmental friendly manner along with the application of modern technologies in farm management. This correlates with the policy of the Ministry of Agriculture and Cooperatives in providing a consistent support to the development of livestock industry.